Today is the day! 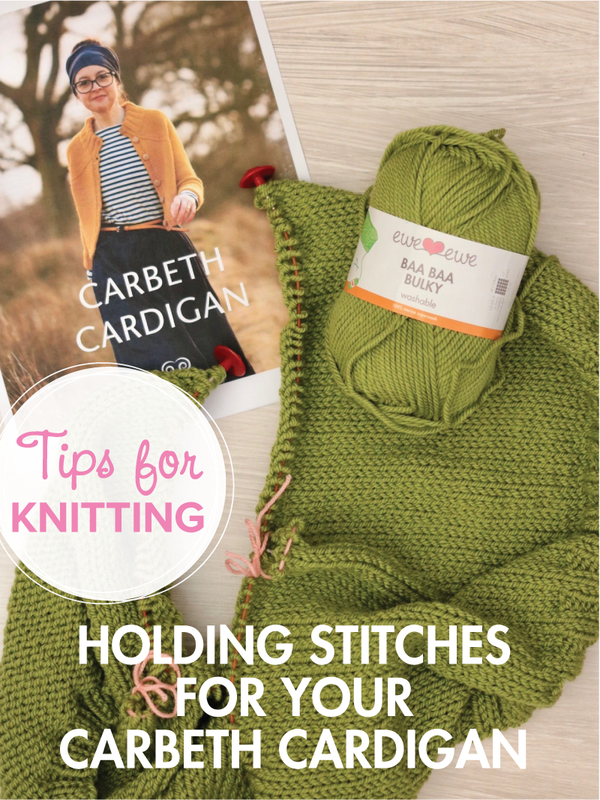 If you’ve checked your gauge then it’s time to cast on for the body of the Carbeth Cardigan. You’ll need your smaller size long needle to begin, in this case I’m using a US 10 (6 mm) with a long cord. The sweater starts at the bottom hem. 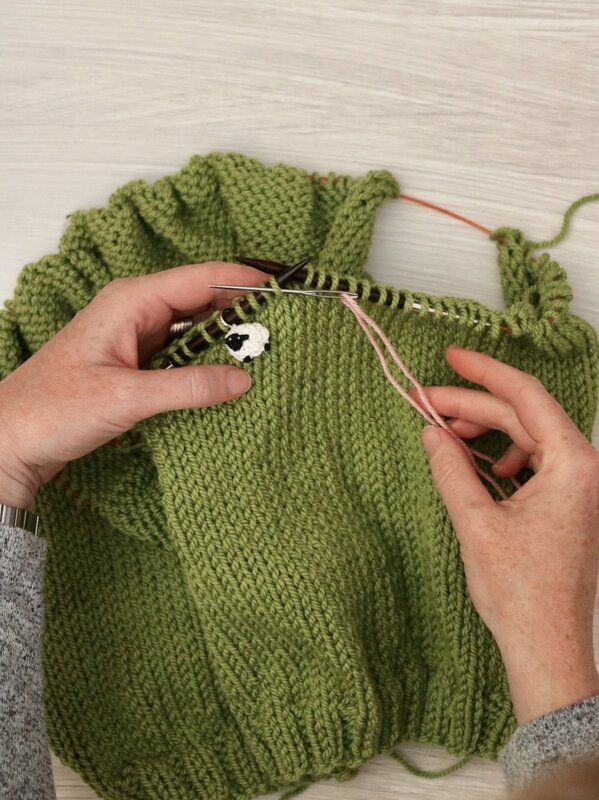 We will be working the left front, back, and right front at the same time with each section separated with a stitch marker as noted in the first paragraph of the pattern. It’s a long edge to cast on so be sure to leave a long enough tail. There’s no magic trick to knowing how long of a tail to leave for your long-tail cast on because every yarn is different and every knitter has their own tension. It took me three attempts to get the edge I wanted here, something not too tight and something where I didn’t have an extra two yards of yarn hanging down when I was done. 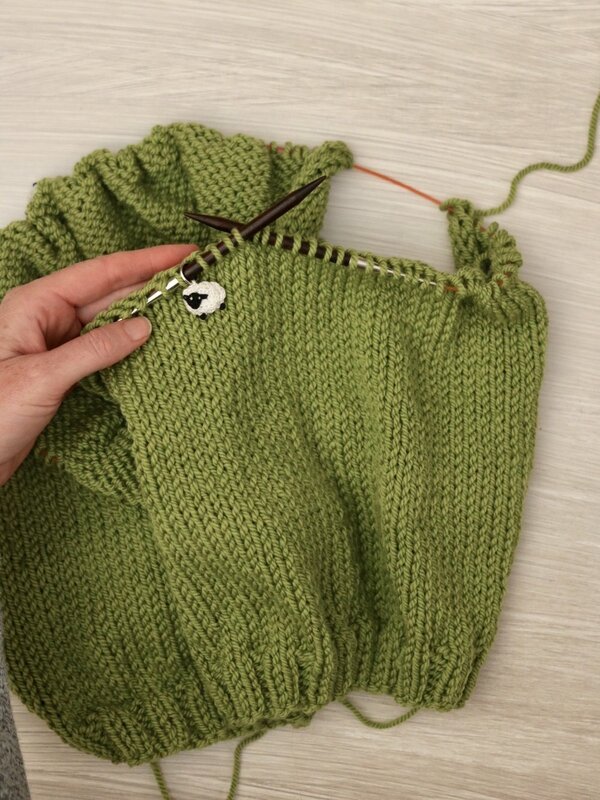 Take your time and make a nice relaxed edge that will feel good as the hem of your sweater. 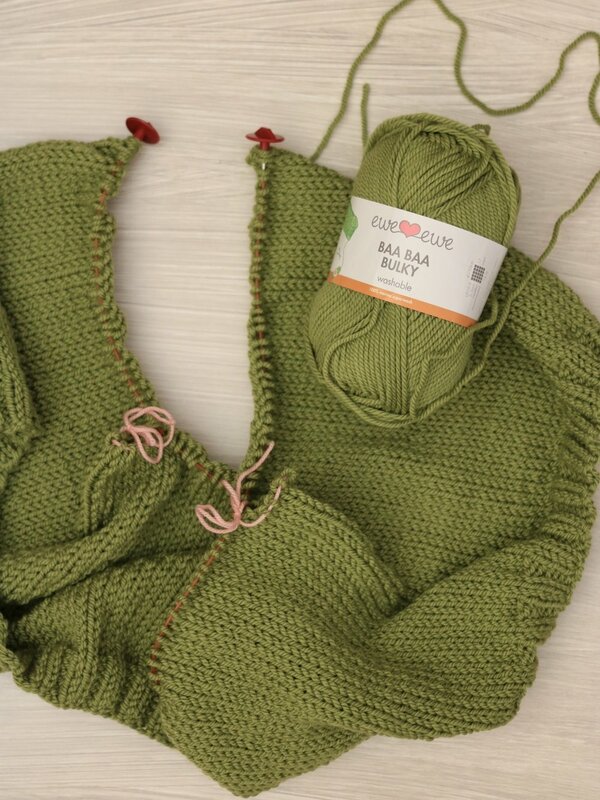 Baa Baa Bulky is a springy yarn so it will make a great edge with the ribbing. After our 6 rows of rib we need to change to our larger needle to knit the body. I’m using a US 10.5 (6.5 mm) as my gauge-size needle but be sure to use the needle size that you got gauge with. Then we work even with knitting one row and purling one row until our sweater measures the required height. Check in online on Instagram with the hashtags #BaaBaaCarbeth and #EweEweKAL. Follow @eweeweyarns on Instagram. Plus you can join my Ewe Ewe Yarns Ravelry group if you like that type of thing. Whichever! Email me if you have any questions! (It's always me on the other side of that form.) I’ll be back this week to talk about adding length to the body of the sweater. Have you considered adding a few rows? I’m 5’11” and 8” feels a tad too cropped for me. What do you think?